Here are the basic details about services and conditions in Ecuador. 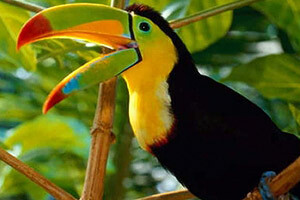 We also have information on travel options in Ecuador here. Electricity - 110v. Plug and socket is US style (3 pin for modern facilities but some of the older installations still have just two pin sockets. If you may be off the beaten track it would be wise to carry a two pin to three pin adapter. Currency in Ecuador is the US dollar. It can be hard to change large denomination bills ($50 and upwards) so it is better to bring a stash of $10 and $20 bills. Spanish is the principal language, with Kichwa the principal indigenous language. Some English is spoken in the main population areas, but little or none in more remote areas. The weather in the sierra (Quito, Otavalo, Cuenca) tends to be spring-like all the year around with temperature of 18C-23C (65-75F) during the day and cooler at night. In the Amazon and coastal regions, including the Galapagos, temperatures are much higher - sub-tropical and tropical. Water quality is generally very good in elevated cities and towns in the Andes (Quito, Cuenca, Otavalo, etc), but less reliable in lower, tropical areas. Bottled drinking water is readily available everywhere. There are many cash machines throughout the main cities and towns. Sometimes it is a bit tricky figuring out which bank's machines will work with your credit or debit card, so best to have a spare card with you. The capital city Quito lies at an altitude of 2,850 meters (9,350 ft). You may experience mild reactions to the altitude for the first few days, but in most cases there is little to no reaction beyond feeling a little out of breath at times. Drink plenty of water (Quito air is relatively dry). Headaches are another common reaction, but over-the-counter headache pills are sufficient to treat this usually. The total land area of Ecuador is 283,560 sq km, and the country is made up of 4 principal zones - the Amazon basin in the east, the Andes mountains in the center, the Pacific coastal region in the west, and the outlying Galapagos Islands Within these regions there are many distinct and unique climate and ecological zones, a factor which makes Ecuador a hot spot for biodiversity. It is possible to traverse all three continental zones in one day, from the Amazon jungle to the snowline of a volcano to the Pacific coast beaches. 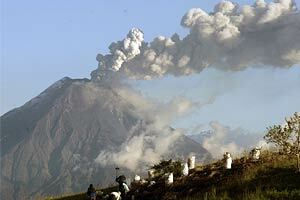 Ecuador is a relatively safe country to travel in compared to the rest of Latin America. The overwhelming majority of people are kind, gracious, and proud to show off their country to visitors. But there are petty thieves, just as there are in any tourist destination around the world. Violent crime is quite rare, with tourists tending to be victims of pickpockets if anything at all. Although you will tend to stand out as a tourist, there are ways to minimize your exposure to any potential threat and we at True Ecuador Travel are happy to offer advice on how to enjoy your time in Ecuador without hassles. Do not carry valuable items around with you if you do not need to. a. Leave credit cards, passport, and extra cash at home. Don’t carry your digital camera around if you are not going to use it (and back up your photos on CD regularly in case you do lose your camera). Work out how much you need for the day and just take that much cash plus a bit extra. Make a copy of your passport and carry it with you instead of your original (copy must include the front page and your entry stamp or visa). IF YOU DON’T ABSOLUTELY NEED IT, LEAVE IT AT HOME. When traveling on buses outside Quito there are several precautions to take to avoid being robbed. Never put things in the overhead rack. While you are sleeping or looking out the window someone could take it as they walk past. Never put things under the seat where someone behind can tamper with the bag. Even bags on the floor by your feet can be at risk from people or kids opening them from under the seats in front of or behind you. Do not allow other people to take or touch your bags. Some thieves will pretend to help you to stow your luggage, either stealing your bag right then or setting you up for a later theft. Never leave your things on the bus while you get off to buy something. Keep your valuables on your lap in a well closed pack or bag and keep the strap around your arm, especially if you are going to sleep. Generally it is safe—perhaps safest---to put packs in the luggage compartments underneath the bus. Just make sure the assistant puts them in and shuts the door. We hope you have a wonderful time exploring all that Ecuador has to offer, and that you take these few simple precautions in order to minimize any risks. Our motto is : BE AWARE WITHOUT BECOMING PARANOID! When using a cash machine, prefer one that has a security guard nearby. If people (not customers) are hanging around the machine as you approach, or if anyone tries to talk to you or distract you at the machine, do not use that machine to withdraw your cash. Always block everyone’s view before putting in your pin number, and make sure you have your card details and emergency phone number somewhere in case it is stolen or if your pin number is compromised. Avoid withdrawing large sums of cash, but if you must, do so on your way home so you can keep the extra cash safe. Have someone go with you if possible, and it is always a good idea to take a taxi if you have a lot of money on you. One common trick is to spill some mayonnaise or ketchup on tourists and make a fuss about wiping it off. This is a distraction while someone else steals your bag or other personal belongings. In restaurants and internet cafes NEVER put your bag behind you on the seat, or at your feet where you cannot see it. Small groups of thieves go into these places, and cause a distraction while someone else steals your bag. The best thing is to put your bag down and hook one leg through the strap, or to keep it on your lap. Take everything with you when you go to the bathroom. Always be extra careful in crowded places, and never have valuables in your regular pockets or in a backpack worn where you cannot see it. The Trole system in Quito is notorious for professional pickpockets, especially when it is crowded. They use razor blades to slit open bags and backpacks and take out valuables. Never wear your backpack on the Trole. Keep it on the floor with a strap around your leg such that someone would have to bend down to tamper with it, or wear it in front of you. Keep all of your valuables secure, including anything in your pockets. REMEMBER: THEY ARE PROFESSIONALS. If you can keep one hand on your valuables at all times, so much the better. Similar problems exist on all mass transit systems, such as the Ecovia, buses and the Metro, but they are less common. Ecuador has a good public health system in addition to a good private health system. There are many clinics and hospitals throughout the country providing a high level of service. Some private clinics in the largest cities will have doctors who speak English and we will be happy to recommend a suitable hospital or clinic or dental center to our customers. In more rural areas the level of health care is not generally as high, but competent emergency care is usually available and evacuation services can be arranged to the nearest suitable facility. We recommend that you take out a suitable international health insurance policy, and that you take a bit of time to read it before you arrive! If you have any special condition that may need emergency treatment we will be happy to help identify suitable potential locations based on your itinerary. 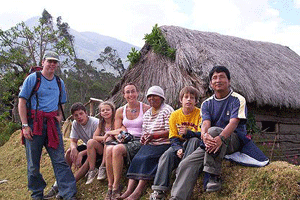 True Ecuador Travel grew out of Yanapuma Foundation and Spanish School. As a social enterprise, self-funding part of the non-profit work that we have carried out since 2006. 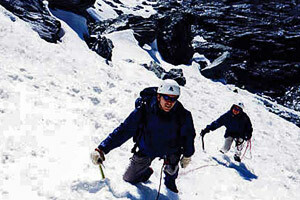 We set up True Ecuador Travel as a travel agency and a limited company in Ecuador to be able to offer all the reliability and guarantees that our students and visitors require to make the most out of their time in Ecuador. Calle Guayaquil N9-59 y Oriente, Quito 170419, Ecuador. Hermano Miguel 8-59 y Bolivar, Cuenca 010104, Ecuador.